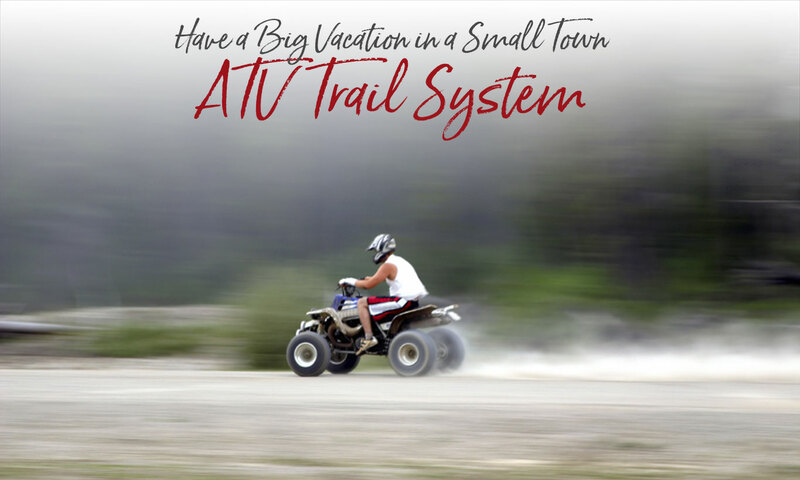 With much of the North Carolina Smokies protected by the National Park Service and the National Forest Service, there are very few opportunities for the off-road vehicle enthusiast to enjoy a true mountain ATV experience. However the area’s one OHV trail is a good one — the Wayehutta OHV Trail System near Western Carolina University. Managed by the Smoky Mountain ORV Club and the US Forest Service, Wayehutta is a 28-mile loop trail system using old logging roads and rail beds. The trails are in the Roy Taylor Forest near Cullowhee, about a half-hour from downtown Bryson City. Ranging from 2,500 to 4,500 feet in elevation, the forested rails range from easy to most difficult. This is a family-oriented trail system including a trail for beginners and youngsters. The trail twists and turns up trails and past a scenic waterfall to the top of a mountain, crossing rocks, bridges and mounds of dirt. You can make it a leisurely ride or pick up the pace for a total workout. Some sections are very rocky and challenging. More information including where to purchase day & seasonal passes. (no location on site). Directions — From Sylva, take US 107 South about three miles. Turn left on SR 1002 (Old Cullowhee Road), continue 3 miles to SR 1731 (Wayehutta Road), turn left. Travel 3.5 miles (pavement ends), continue .5 miles. SR 1731 joins Forest Service Road 4650 and continues approximately 1 mile to the trailhead parking area.